Coconut Flakes, Almond Flour, Maple Syrup, Coconut Oil, Himalayan Pink Salt, Pure Vanilla Powder, Hemp derived Cannabidoil. 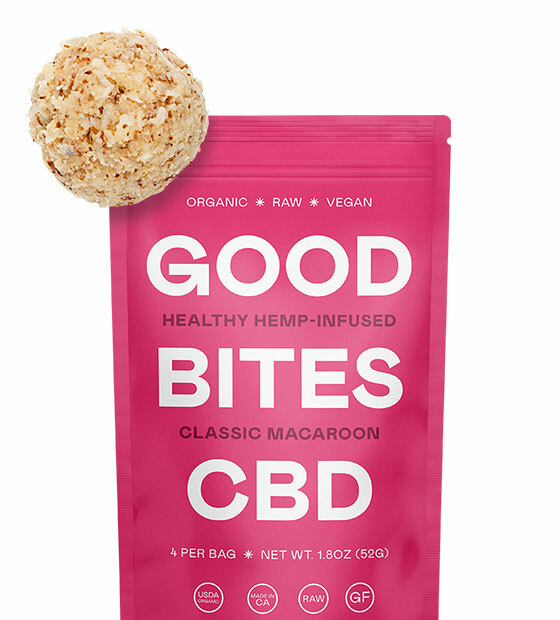 With 10mg of CBD, this bite of macaroon is crisp on the outside, moist and chewy on the inside. Pop one any time you want a bite of goodness. We’ve hand-crafted each of our bites with carefully sourced organic hemp oil and clean ingredients. It’s superfood with a little something extra.